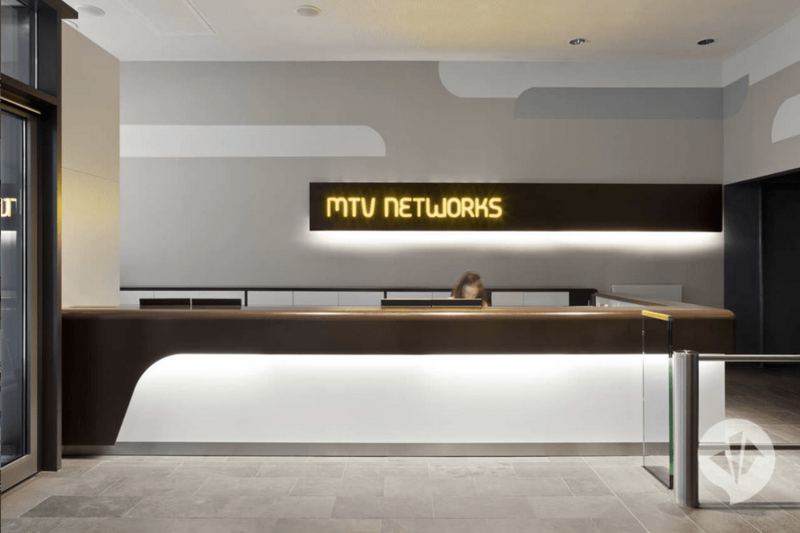 The MTV Headquarters had a long awaited transformation, in response to the long-held wish of employees to convert the gloomy office complex on the Spree into an open plan, creative space that communicates and enhances the company culture. The architect Dan Pearlman was asked to create an “axis of inspiration” and open up the entire first floor. 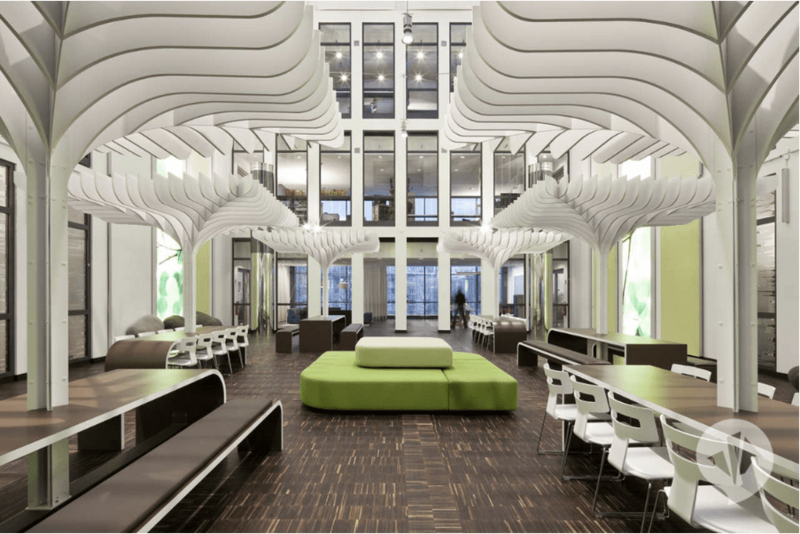 He executed his magic and turned what used to be an un-inspiring office floor into a spacious atrium referred by employees as the Brand Garden, used for socializing and informal meetings. This spacious venue can accommodate up to 250 employees and is usually used for events and networking sessions. The materials, furniture and the interior design setting correspond to the identity of the brand, comprising of the recognized colours for the brand – dark brown, white and yellow. 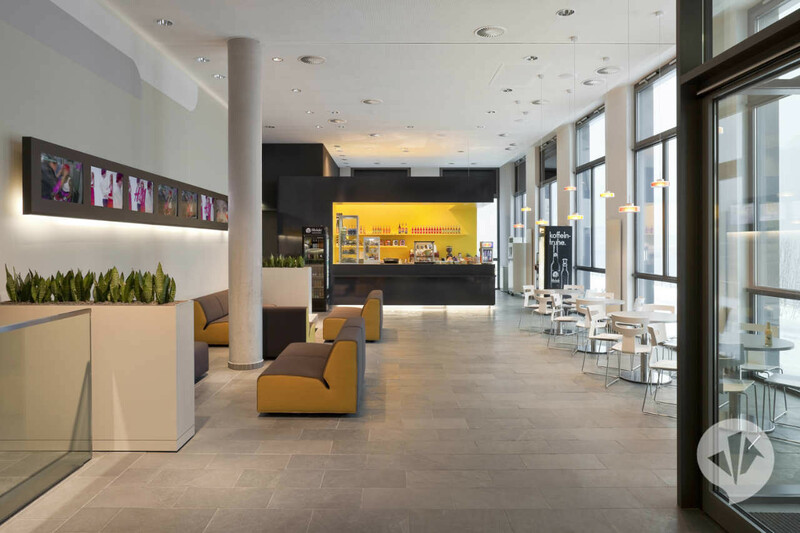 They are creatively applied into different details within the space, making aesthetic accents into the reception area, lobby, the café and the spacious kitchenettes. The initial brief for the architect studio was to create a space that promotes a better work-life balance. Tons of natural light streaming through the floor the ceiling windows, greater freedom of movement through the open plan areas, combined with equal number of private retreat zone all contribute to the high satisfaction level of the employees, boosting their creativity and stimulation for work. 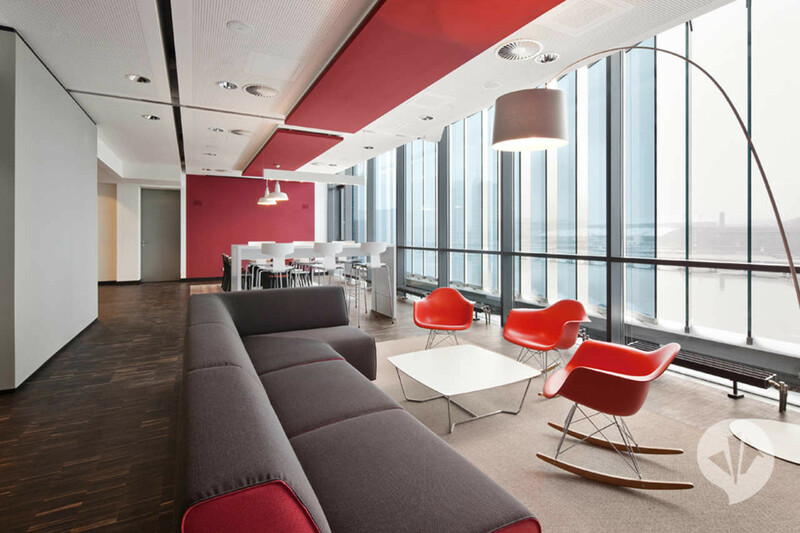 By creating designated areas such as the Brand Garden, Blue Lounge and the Network Kitchen, people have plenty of choice for taking time off during the workday. 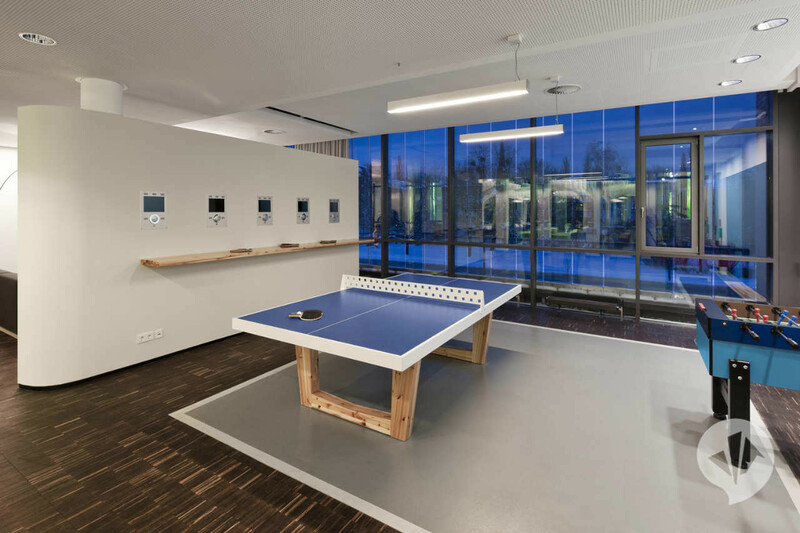 Table tennis and table football can be found in the Sport lounge, which is the favourite spot to relax and informally mingle with the rest of the team. 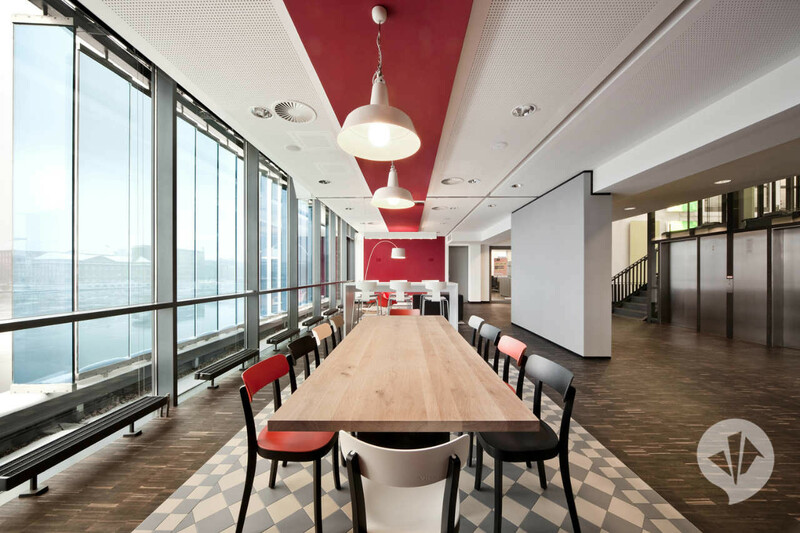 The whole space oozes contemporary feel, very much in line with the brand values and image. The most important is that the office is created with people in mind, offering them a creative environment to thrive and nurture the brand as one of the leaders within the music broadcasting industry.